The IPS-500 is a high grade Lawmate brand visual inspection tool that can be coupled with the high grade inspection snake camera. It is simply the best and most advanced unit of it's kind for special applications including Law Enforcement And Private Security Inspection, Construction Engineering, Life-Detection, Lab Research, Postal Examination, Dental Viewing and Medical Inspection. 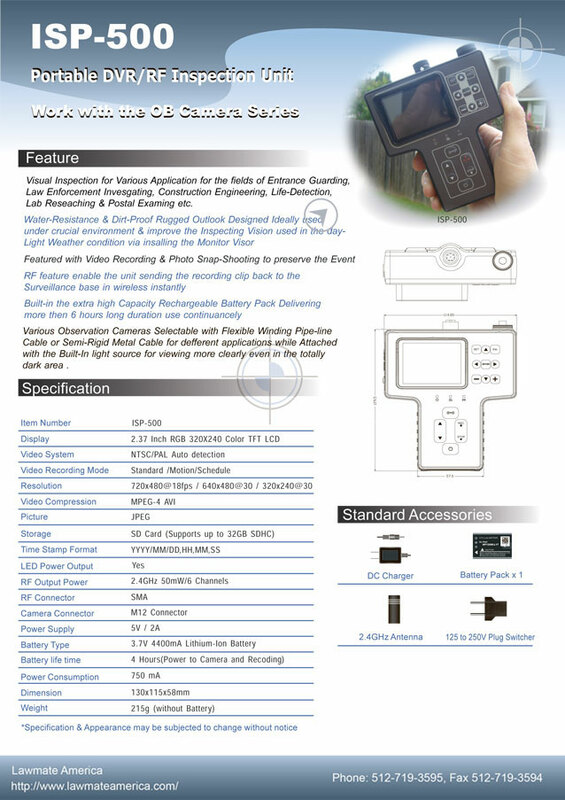 Water-Resistance And Dirt-Proof, this special applications unit has a very rugged design and is specifically developed for crucial inspections. It can be used as a video recorder and snap-shot capture. With really high grade law enforcement quality end results, advanced features and higher resolution, this is the top grade ultimate pocket DVR every professional covert video service and operation had been waiting for! Coming in late July to early August 2009. 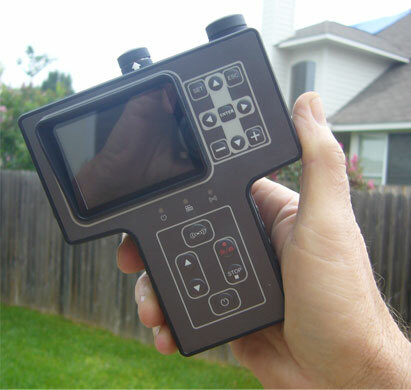 Pre-order now to be the first in your area to utilize the new generation IPS-500 for your professional covert video services and leave your competition in the dust with "Toys-R-Us" thinker-toy junk.